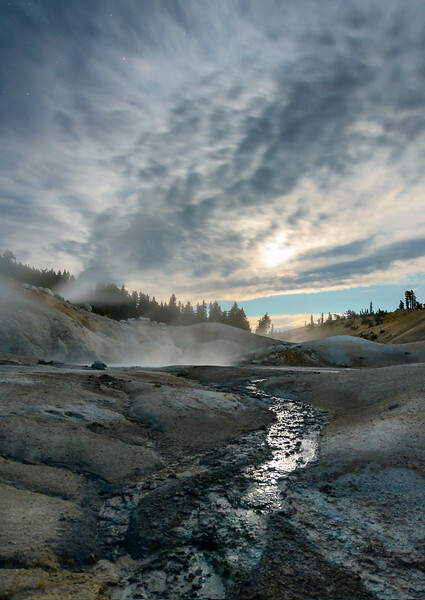 This image was captured around 11:00pm out at Bumpass Hell in Lassen Volcanic National Park as the moon was rising. The moonlight is reflected off a stream flowing from a boiling pool further up. The turquoise coloration is from copper deposits.